The Wolfgang Borchert School in Spandau-Mitte, Berlin, is being converted, partly demolished and generously extended for use as an integrated secondary school with after-school care. 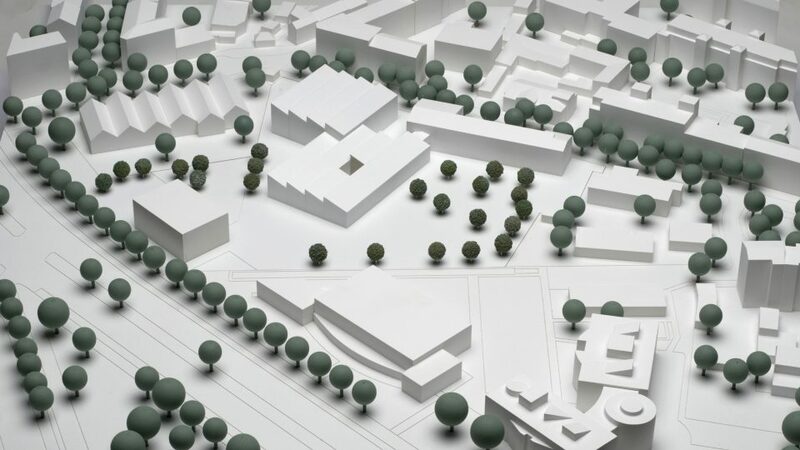 On the new school campus, a multipurpose room for events, a canteen, open-plan study and common areas for pupils and teachers, as well as modernly equipped specialist facilities and classrooms will be built in a compact new building complex. At the core of the design is a modular saw-tooth roof with combined wood panelling and timber construction, referencing the classroom wing with saw-tooth roof from the 1950s. Six new two and three-storey structures with saw-tooth roofs will be added to the existing building to the west. This creates two adjacent compact structures. The saw-tooth roofs and resulting staggered space between them allow for abundant light in the classrooms. The main building from the 1950s and the new saw-tooth roof construction stand independently side by side and together form the new street view of the school. A forecort between the old and the new building defines the main entrance. The new building echoes the horizontal band of windows along the old building. The greenish exposed concrete of the facade and the vertical wooden cladding of the saw-tooth roofs harmonize with the white plastered facade and the copper roof of the renovated main building. 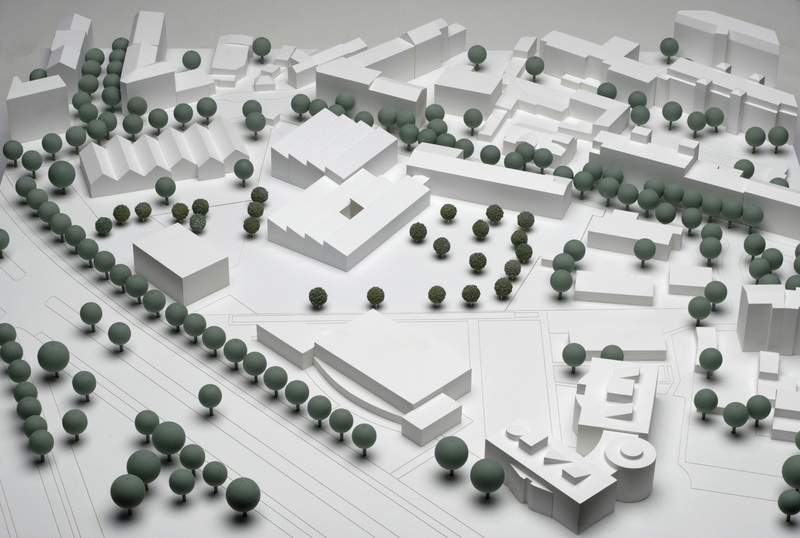 The T-shaped complex is surrounded by natural recreation areas, a canteen terrace and a school garden.